This is a Legal W2 position, not contract. Competitive Commission Rate, with tips and taxes taken out. We want the best person for our family. We hope that person is you! Oxford Animal Hospital is now hiring an Experienced Pet Groomer to join their AMAZING team! We offer a terrific benefits package! This includes earned PTO, scrub allowance, insurance package, and life insurance. Also, we take care of the furry family too with pet care benefits. If you are passionate about pets and providing exemplary customer service, we want you to join our team! Apply today! Only applicants that submit a resume will be considered! Blue Valley Animal Hospital in Overland Park, KS is looking for an experienced, professional groomer. We are a full service Animal Hospital that offers Grooming, Boarding, and Doggie Daycare. Blue Valley Animal Hospital is a very well established, thriving practice with an extensive client base. We offer a very competitive commission and benefits package and will support you with a full team to answer the phone and book your appointments. We have a grooming suite complete with walk-in bath tub, hydrosurge, 2 double-deck wind tunnels, hydrolift grooming table, table-side blower, and much more! *have own references/be familiar with most common breed cuts and pet styles-- *pictures are worth a 1000 words! *able to stand for long periods, able to lift 40+ lbs. 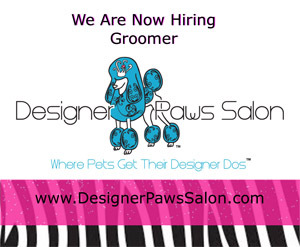 *In house assistance with scheduling, equipment purchases and repairs, grooming supplies, and marketing! Oxford Animal Hospital, Overland Park, Kansas is hiring a Full-Time Kennel Technician. $100.00 signing bonus included. If you are passionate about pets and providing exceptional customer service, apply today!